Oats are grains from the cereal plant, Avena Sativa, and once harvested are processed for use in animal feed, skin products or food. For food use, oats are milled, steamed, heated and cooled in a kiln, which brings out the flavour. The oats are then rolled, cut or ground to produce flakes, oatmeal or flour. How do I know I’m getting whole grain oats? In order to retain the valuable nutrients in oats, processors set out to preserve as much of the oat grain as possible. The mill removes only the outer inedible shell known as the hull – virtually guaranteeing you get all the goodness of wholegrain no matter what form you eat oats in. Oat beta-glucan has been shown to lower/reduce blood cholesterol. High cholesterol is a risk factor in the development of coronary heart disease. The beneficial cholesterol lowering effect is obtained with a daily intake of about 3g of oat beta-glucan, which equates to around 40g of oat bran or 60g of oats. Consumption of beta-glucans from oats (or barley) as part of a meal contributes to the reduction of the blood glucose rise after that meal. Do you know your pinhead from your jumbo, or your oatmeal from your rolled? Oats can add flavour and texture to lots of dishes. 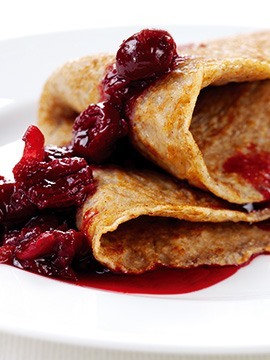 Rolled and pinhead oats make great toppings on sweet and savoury dishes, while oatmeal is ideal for thickening soups and casseroles instead of flour. Here's an explanation of the different types of oats to be sure you're oat-savvy next time you hit the shops. These are whole oats that have simply been cut into two or three pieces by steel cutters to produce rough, coarse oatmeal. Sometimes also called Irish or Scottish oats. Uses: use for oatcakes and the traditional way of making porridge. These are whole oats that have been softened with steam and then flattened between rollers to produce flakes. Uses: use raw in muesli, or to make thick, textured porridge. These are steel cut (also known as pinhead) oats (oats that are cut into two or three pieces) that have been softened with steam and then rolled to produce flakes. They are smaller than jumbo flakes therefore, so cook quicker and make a finer, smoother porridge. Uses: tend to be used for the single-serve sachet products found in supermarkets. 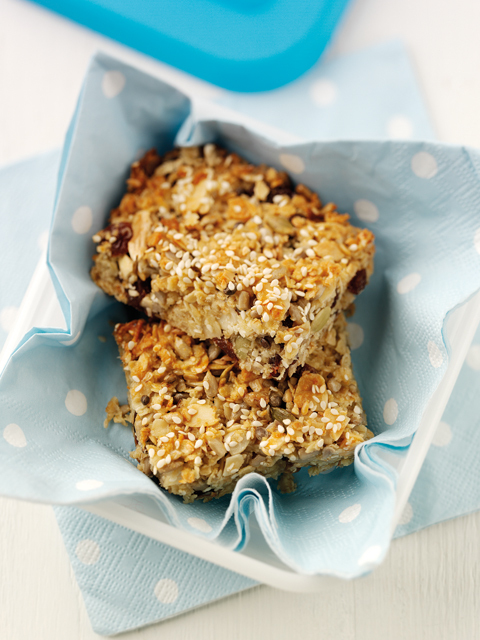 Use a mix of jumbo and rolled oats to make biscuits, oatcakes, cereal bars or flapjacks. This is made by using grooved rolls to break up the oats to produce different grades of oatmeal, from coarse oatmeal (steel cut/pinhead oats), to medium or fine oatmeal. Until rolled oats were introduced, porridge was traditionally made with oatmeal. 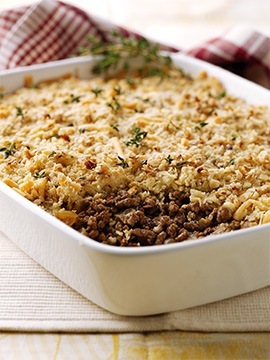 It takes longer to cook and usually has a much thicker texture compared to rolled oats. Uses: use for biscuits, oatcakes, scones and crumble toppings. Finer than oatmeal, this is made by grinding and sieving oats. As with oatmeal, the flour can be coarse, medium or fine. Uses: use for making bread or cakes. Oats are whole grains packed full of nutrients to help keep your body healthy. Take a look at all the goodness they contain. These are typical values, but products will vary. For nutritional information specific to a product, check product packaging/labels. How does it help your body? Helps release energy from carbohydrate. Vital for a healthy nervous system. Helps release energy from food. Keeps skin, eyes and the nervous system healthy. The most important source of energy in the diet. Our bodies digest and metabolise all carbohydrates into glucose, which provides energy for the body. Performs vital structural functions in the body. Needed for growth and development. Constantly involved in rebuilding, repairing and maintaining vital tissues. An essential part of the diet. An important source of energy, although intakes should be controlled. Necessary for the storage and transport of fat soluble vitamins. Involved in the regulation of fluid and electrolyte balance. Helps maintain a healthy digestive system. Helps build strong bones and teeth. Helps the central nervous system to function. Needed for the production of haemoglobin, the red pigment in blood, which carries oxygen around the body. Essential for growth and the formation of red and white blood cell formation in bone marrow. Protects against neural tube defects (spina bifida) pre-conceptually and during early pregnancy. An antioxidant is a substance that may help prevent damage to the body's cells. Essential for the transmission of nerve impulses. Helps make red blood cells, which carry oxygen around the body. Helps nerve and muscle function. Helps the body to store and release energy from food. Essential for growth, reproduction and immunity. The minerals copper, chromium, manganese, molybdenum, selenium and iodine are referred to as trace elements. Essential for good health but only required in minute amounts.